The Hackney Citizen has been shortlisted for the illustrious Newsawards for the fourth year in a row. A panel of judges picked the paper as one of seven contenders for 2019’s ‘Niche Market Newspaper of the Year’ award. The Citizen is up against specialist publications including Cage & Aviary News, Narc and the New European. The winners will be announced at a black-tie gala at the Royal Lancaster Hotel near Hyde Park on 8 May. The Newsawards, previously known as the Newspaper Awards before a 2015 rebrand, “celebrate the best in news media print, digital and business innovation” across the UK. The Citizen’s founding editor Keith Magnum said: “We are thrilled to be shortlisted again for the Niche Market Newspaper of the Year award. 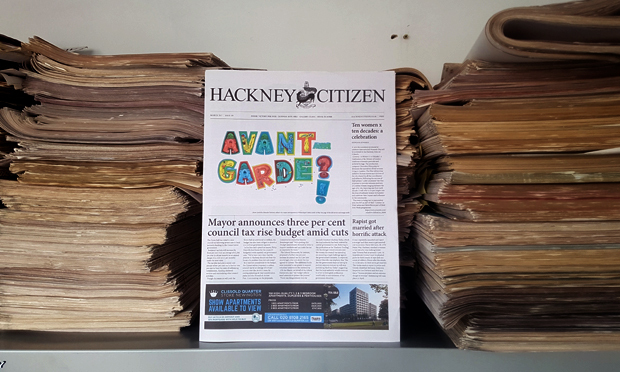 The Hackney Citizen received a commendation in 2017, with judges praising its “excellent design with quality content and first-class printing”. It was the third time the paper had been recognised in this way, having received similar acclaim in 2011 and 2014.